The Mirena IUD promises effective, long-term birth control in one easy package: Your doctor inserts the small, plastic device and you’re covered for five years – no daily pills, no condoms, no hassle. Except that the Mirena intrauterine device (IUD) has actually proven to have serious side effects, like infection, uterine perforation, and reproductive impairment. Some Mirena users report recurring infections, sharp pains, emergency extraction surgeries, and, heartbreakingly, the inability to ever have children. And despite these reports, FDA warnings and clinical studies, there has been no Mirena recall. The major problem: the Busy Moms campaign overstated the benefits of Mirena and glossed over potential complications, leaving women across the United States under-educated and overly enthusiastic about the new device. Some of the marketing was outright deceitful – and untrue. A plastic intrauterine implant has nothing to do with romance or looking good. The FDA reprimanded Bayer for its deceitful marketing tactics, stating, “These claims misleadingly overstate the proven efficacy of Mirena. The FDA is not aware of any evidence that suggests that women using Mirena for birth control experience an increase in reconnection, romance, or intimacy with their partners.” Unfortunately, the FDA’s censure didn’t involve an obligatory Mirena IUD recall – and Bayer didn’t voluntarily issue a recall, either. Regrettably for many women, the damage had already been done. They’d seen the ads, visited the website, even heard about Mirena via word-of-mouth, and had asked their doctors for an IUD. But soon, these women were back at their doctor’s office, complaining of persistent pain, pinching, discomfort and other symptoms. Tests revealed that the devices had spontaneously migrated, piercing the uterus, perforating other organs, and causing general mayhem inside their bodies. By May 2013, the FDA had received more than 47,000 adverse event reports related to Mirena. Infection: Life-threatening infection can occur within days of receiving the Mirena IUD. Additionally, some women experience serious pelvic infections and pelvic inflammatory disease (PID). Persistent Pain: The Mirena may cause persistent pain due to device movement and cysts. Additionally, it can cause changes in bleeding, missed periods, and other discomfort. Ovarian Cysts: About 12% of women with Mirena develop painful ovarian cysts, some of which require surgery. Uterine Perforation: Device migration can perforate the uterus and pierce neighboring organs, causing very serious problems that may require surgery. Perforation can also result in infertility. Pregnancy: If the Mirena shifts out of place or is expelled, its effectiveness can decrease or disappear (in the case of expulsion), making pregnancy a distinct possibility. Ectopic pregnancies, which can be fatal to the mother, are also a concern for women on Mirena. Infertility: Serious complications from uterine perforation, ectopic pregnancy and other complications can result in Mirena infertility. 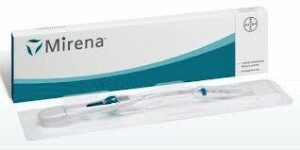 To date, neither Bayer nor the FDA has issued a Mirena IUD recall. Nevertheless, many believe that a recall is on the horizon – and many others demand that a recall is necessary. In large part, the Mirena shot to stardom due to deceitful and untrue marketing tactics, and some say the FDA reprimand did not completely erase these untruths from the public mindset. Additionally, many women who fell prey to the 2009 Busy Moms campaign still have their IUDs; Mirena may stay implanted for up to five years, so even those women who got a Mirena in 2009 still have at least a year left before removal. While dozens of women have already filed a Mirena lawsuit, and hundreds more are expected over the coming months, Bayer stands by its product, stating that IUD is a safe and highly effective form of birth control. Only time will tell whether tens of thousands of injured women, public demands, and medical research will force Bayer’s hand – or lead to an FDA-recommended Mirena recall.